Best of Houzz 2017, 2015, 2014, 2013, and 2012. Founded in beautiful Prince Edward Island, Craftsman Construction is an award winning new generation of home builder that prides itself on building truly energy efficient homes across the maritime Provinces. 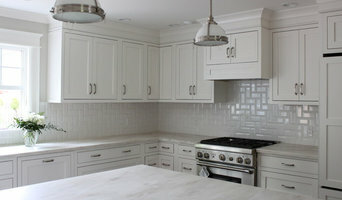 Our company specializes in custom built homes and residential renovations of timeless quality and character. Like most dreaming of a new home, we as builders are always in search of new ideas and designs to create great looking and functional houses that offer outstanding curb appeal. With our experienced team, we complete every project as if it were for our own family, with a level of detail and caring that is uncommon in the industry. 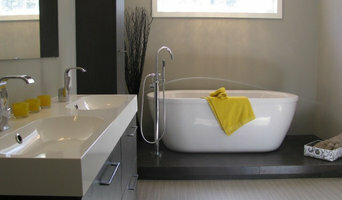 Our commitment is satisfied clients and our passion is creating beautiful homes. "Where excellence is our standard" Maple Isle Homes is owned by Rob Hebert, who has more than 25 years of experience in new home construction. He is actively involved in the process of building your custom home. We are passionate about building you the home that exceeds your expectations. Using original floorplans and premium features, we build custom homes that incorporate your design specifications and meet your lifestyle needs. We offer amazing service, high quality materials, and many executive features standard with every home. We have the knowledge, experience, and resources to help you design a home that you love for years to come. Contact us at 902-940-1420 and find your home. Halifax Home Builder You can trust. We build healthy homes. Our Goal Is To Build Sustainable Houses. 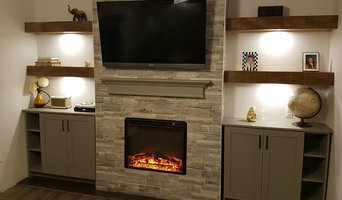 Studio East Construction & Design Inc.
A family owned and operated custom home builder located in Truro Nova Scotia and serving Colchester & HRM, Studio East Construction & Design performs all levels of residential building and remodeling. From concept to turnkey completion, our team will guide you through your project with ease, seamlessly blending the design and build process in an effort to efficiently manage your time and budget. 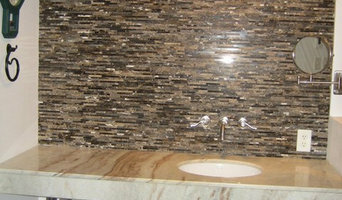 As the contractor, we organize and coordinate the building of your home to be sure it is built with premium quality. From starter homes to executive living, we understand the importance of budgets and will work hard to bring your one-of-a-kind dream home to a reality. Give us your vision and we will help you to create the reality you have only imagined. The Stones Family....Building Relationships One Customer at a Time. Stones Superior Homes is a family-owned and operated business that has been in existence since 1975. Beginning as a staff of just two, Kim and Anne Stone rolled up their sleeves for some very hard work - and today Stones has three individually-run businesses (including Stones Superior Homes and Stones RV); employing a team of about 40 dedicated employees. MacGillivray Properties has redeveloped commercial and residential complexes in Pictou County and Halifax. We are now offering electrical and plumbing services to the public, both residential and commercial. You can rely on the reputation of MacGillivray Properties Limited electrical and plumbing help. Also contact us for commercial and apartment leasing in New Glasgow. Whether it’s a major re-design or a quick fix, our expertise and your imagination can give new life to any old space. What’s the most important step in building a new house from the ground up? Many people would say it’s choosing the right Wallace home builder. Constructing a new house is a huge and multifaceted undertaking, so it’s important to find custom home builders in Wallace, NS you can trust to bring your vision to life, as well as keep the process under control from start to finish. Although a construction job is never without surprises and challenges, a Wallace, NS home builder who’s a good fit for your specific project will make these far easier to handle. For Wallace residential home builders who also act as developers, the job starts well before the first nail is driven. They perform local market research to determine whether the prospective homesites make sense in the Wallace, NS market, as well as survey the land on which the house will be built to make sure it is suitable for construction. Custom builders also obtain the necessary permits. A good custom home builder in Wallace, NS has skills that go far beyond construction — he or she must supervise subcontractors and artisans; keep tabs on local zoning regulations, building codes and other legalities; inspect work for problems along the way; and perform dozens of other roles that are essential in building a quality house. Here are some related professionals and vendors to complement the work of home builders: Interior Designers & Decorators, Landscape Architects & Landscape Designers, Architects & Building Designers, Kitchen & Bath Designers, Specialty Contractors. House builders are responsible for ensuring that the home-building project sticks as closely as possible to the specified timetable, particularly in the event of change orders. Custom and luxury home builders in Wallace, NS also need interpersonal skills to deal with clients of all types, soothe frazzled nerves, negotiate conflicts and resolve problems. 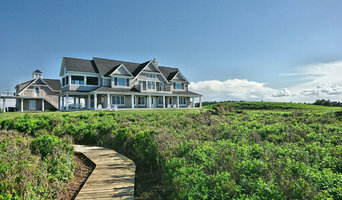 Find custom home builders in Wallace, NS on Houzz. Narrow your search in the Professionals section of the website to Wallace, NS home builders. You can also look through Wallace, NS photos to find a house you like, then contact the builder who worked on it.